A tri-church Bible Study (Good Samaritan, St. Mary's and St, Luke's) meets every Wednesday at St. Luke's at 10:00 a.m. Please see the Bishop's warden, Deb, if you would like to be an acolyte. Please see the Bishop's warden, Deb, if you would like to be baptized. Confirmation is the rite by which a person, having been baptized and made the baptismal vows, receives, through the laying on of the bishop's hands, the particular grace of the Holy Spirit required to undertake full communicant membership of the Church. Path to confirmation include: New Members classes, Baptism instructions and the below Path to Spiritual Maturity. 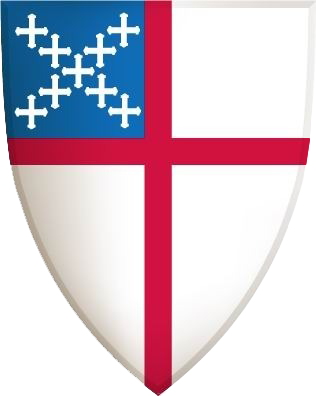 New Members and those who have become permanent visitors are invited to attend three uplifting presentations on Episcopal Worship. The short presentations focus on history, traditions, and unique practices of the Episcopal Church. We explore who ministers are, the Sacraments, Rites and Ceremonies of the Church, The Book of Common Prayer and Episcopal governance. An instructed Eucharist is also a part of the teaching segments. This is also a great time to ask the questions you always wanted to ask. The presentations will be held on designated Sundays after church service. Check with the Bishop's warden if you would like this orientation.